Welcome to the VERWOOD! 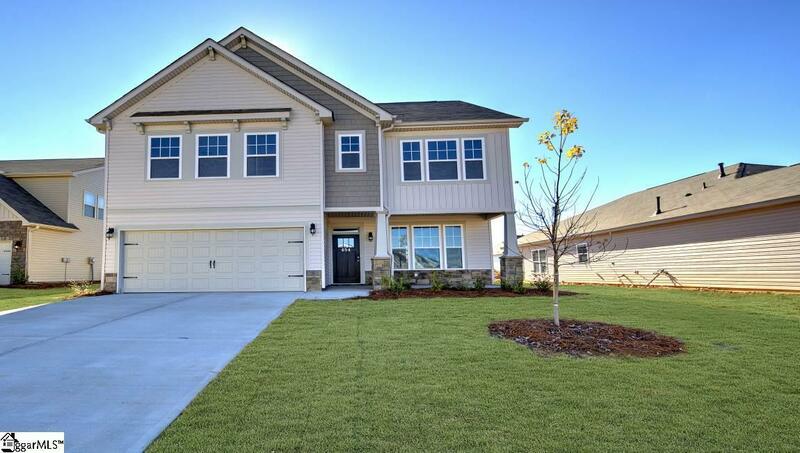 The Verwood is a beautiful 4 bedroom, 2.5 baths floorplan that offers; 9 foot ceilings, formal DR, hardwoods throughout the entire first floor, gas fireplace, walk-in laundry room, and rear covered porch. The expansive kitchen is open to the family room and features recessed can lighting, granite countertops, ceramic tile backsplash, stainless steel dishwasher, microwave, and gas top stove and a unique bar top island with seating! The breakfast area looks out to the Rear Covered Patio and backyard. Upstairs there are 4 bedrooms, 2 full bathrooms and a walk-in laundry room. The Master Bedroom has a Walk-In Closet, the Master Bath has Ceramic Tile Floors, a walk-in shower and separate soaking tub. We offer the benefit of new construction and a 10 yr. Home Warranty! The value of this home can't be beat.